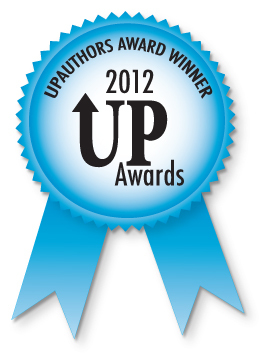 UP Authors Announce Contest Winners! UP Authors is an author advisory program, founded by Brand Eleven Eleven, a marketing and branding agency that creates economical priced marketing opportunities, inexpensive web presence with search engine optimization, social media network development, and a variety of resources that will assist the career of authors and those in the publishing industry. Co-founder of UP Authors is Ron Knight, who has written over twenty adult fiction novels, along with other books for teens, tweens, and elementary students. In addition, Ron Knight has written several non-fiction books, including Untraditional Publishing, which is now the third option for authors to succeed. Knight is well known for his motivational and confidence building techniques for authors. Every year, UP Authors holds a contest in which the authors can win in five different categories: Best Title, Best Book Description, Best Cover, Best First Line, and Best First Chapter. The purpose of this contest is to give talented authors substantial amounts of promotion, allowing the authors to increase their fan base and publishing connections. Best Title was awarded to new author, Clara Brown, for Blood Sport and Black Stilettos. Best Book Description was awarded to Linda S. Prather, for Bet You Can’t Find Me. Best Cover was awarded to Danny D. Langone, for Wilt’s Hollow. Best First Line was awarded to Teresa Burrell’s, The Advocate’s Conviction. Perhaps the most difficult category to win was Best First Chapter, awarded to Liane Moonraven, The Broken Sword. For more on Brand Eleven Eleven, UP Authors, and the list of award winning authors, please visit their websites.